Ironically, the Beth Mason permanent mayoralty-in-exile campaign continues to be an outright bust. This time she invaded the turf of the popular fifth ward Councilman Peter Cunningham. There's toxic and then there's Beth Mason toxic. 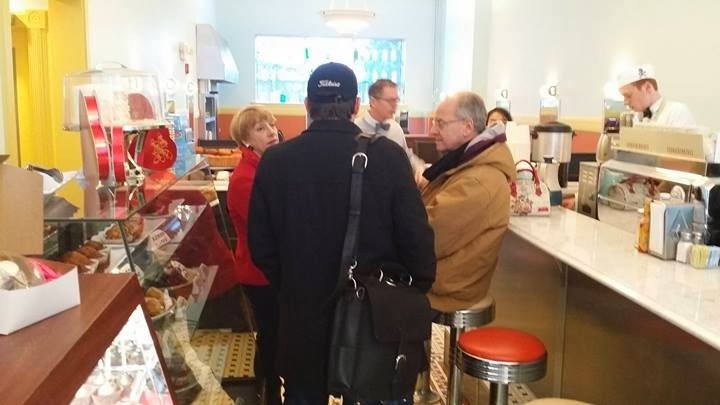 Ghost town - Beth Mason hosted a free coffee and donut event at a wildly popular reopened eatery on upper Washington St.
earlier this week but the public chose breakfast elsewhere.